Orange Coast Fence Company is Orange County's preferred fence company for high-quality, competitively priced fencing. 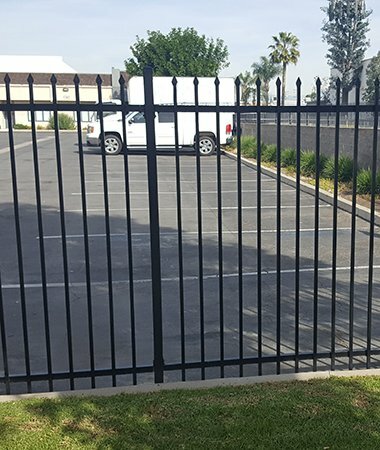 We have been installing chain link, iron, and wood fences and gates for industrial, commercial, and residential applications since 1984 and have thousands of satisfied clients throughout Santa Ana, Huntington Beach, Costa Mesa, Irvine, Orange, Westminster, Garden Grove, Anaheim, and surrounding areas. Because we consistently deliver exceptional craftsmanship with superior customer service at very competitive prices, our customers consider us the best value in Southern California for custom fence installation. 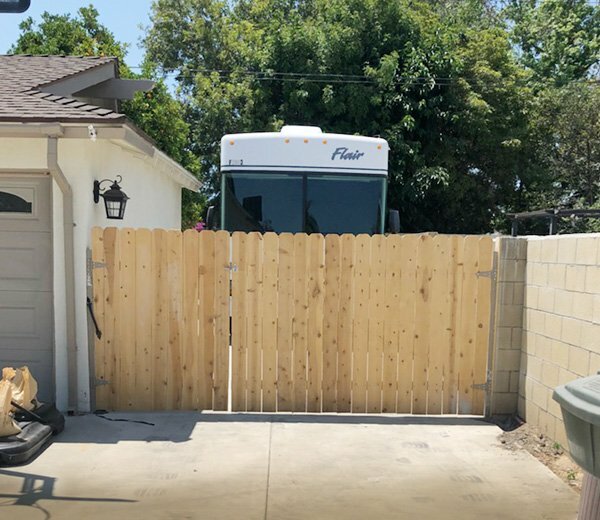 All Orange Coast Fence Company fences are installed by our own highly experienced employees and overseen by our owner who has been in the industry for more than 40 years. As a result, we know what techniques to use to ensure that every fence and gate meets or exceeds the highest of standards for functionality, durability, and longevity. Our fences are built according to the best practices for design and construction, and we take care to comply with any relevant city and county codes. As part of our commitment to complete customer satisfaction, we pay attention to all the details that other fence contractors can overlook. We plan each job carefully so that it gets done right the first time; we clean up after ourselves; and we work efficiently -- finishing most new fences within just two business days. At Orange Coast Fence Co., we excel at installing and replacing chain link fences and gates. Our chain link fencing is one of our most popular fence choices because it is so cost effective. 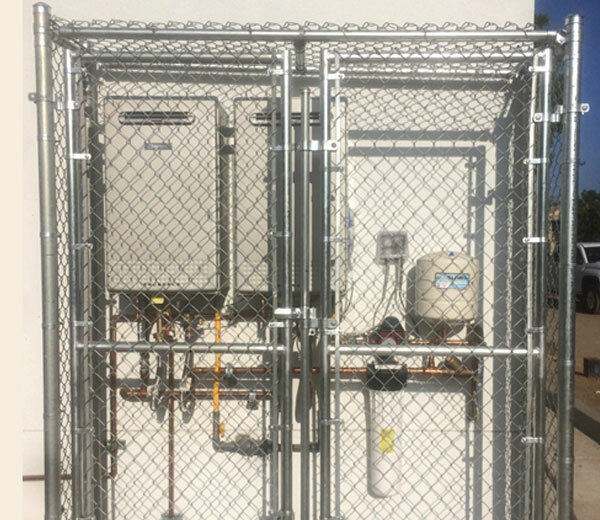 Additionally, because chain link fences can be built to nearly any height, built in a variety of configurations, and incorporate privacy slats, barbed wire, or razor wire, it is considered highly versatile. 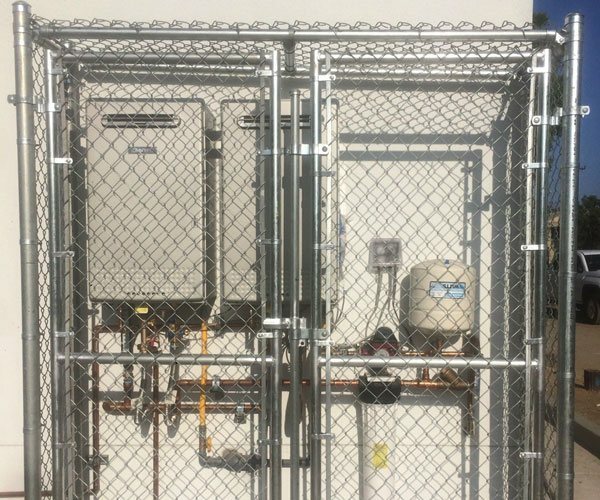 It can be used to create perimeter fencing, security cages, a dog run, trash enclosures, backstops, pool fencing, interior divider walls/partitions, and more. 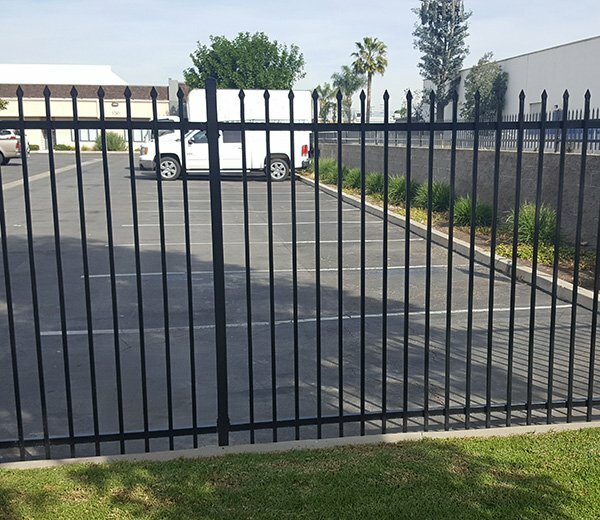 If one of our Orange County clients is looking for a visually pleasing, long-lasting fence that effectively discourages trespassing and theft, an iron fence might be the best choice. When designed and installed correctly, an iron fence can last for decades and add value to a property. Our iron fences are available in three designs, have either a black or custom color powder coating, and can feature iron pickets and rails in the client's preferred size and thickness. We also custom build beautiful and durable wood fences. Wood fences and gates can be designed and installed in a wide array of styles, ranging from a lovely picket fence to accent a garden to a tall board fence for privacy and security. To create our wood fences, we primarily use cedar board, redwood rails, and steel posts for maximum longevity. Call or visit us Monday through Thursday, between 7am and 5pm. 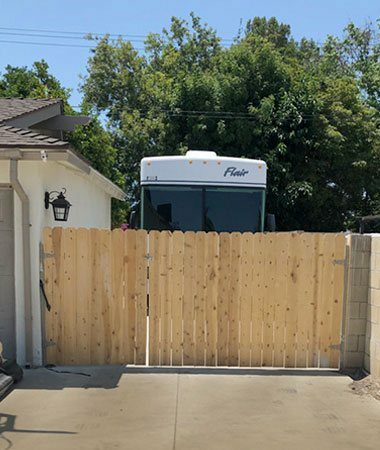 In addition to fence installations and replacement services, we also provide affordable and reliable fence repair services throughout Orange County. We are fully licensed and insured, and stand behind our workmanship with a one-year warranty. We accept all major credit cards and cash. If you need a ballpark estimate, we can provide one over the phone; but we also offer free on-site consultations for an upfront, accurate quote.